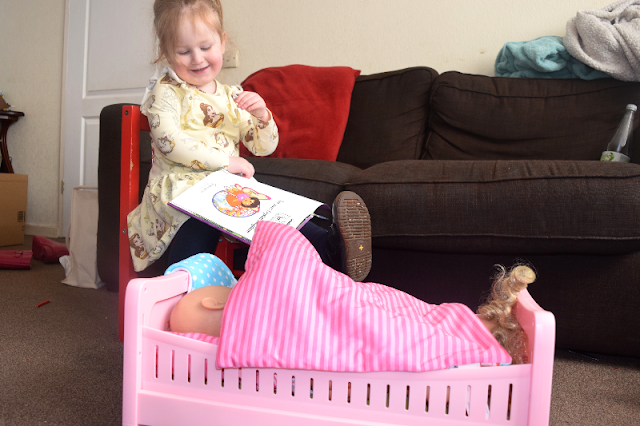 Elsie loves roleplaying especially anything to do with families, babies or dogs! She has a few baby dolls and accessories that she loves to play with but until now she didn't have a baby bed or cot. 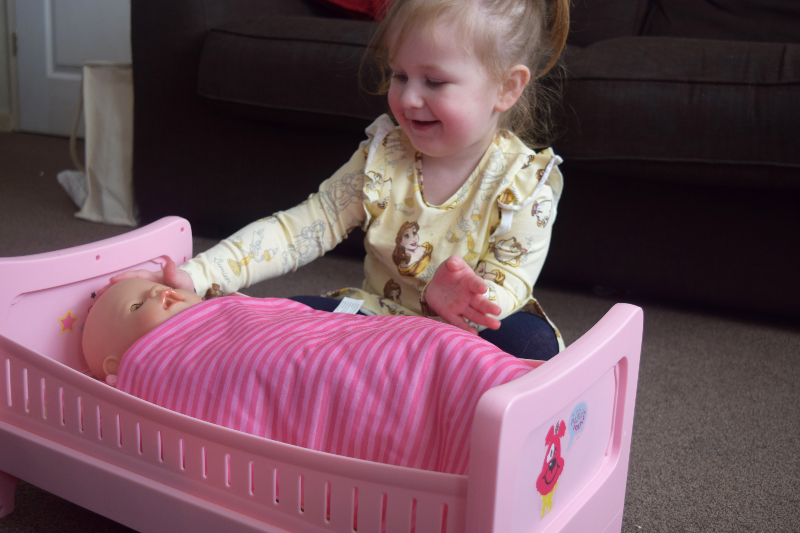 She was sent the Baby Born bed to review and I thought she might just love it! It does require assembly but it doesn't take long at all and doesn't need any tools. I simply clicked everything into place and added the stickers and it was ready to play with. Elsie was so pleased with it. It comes with a little reversible pillow and blanket so immediately she was tucking her baba into bed to say goodnight. Shouting 'ABRACADABRA' then uncovering the blanket to reveal the baby like a magic trick. Since she received the bed, she has played with it daily. It hasn't been left to the side ignored after a few days like many toys are. It really seems to bring out her nurturing side. It is lovely watching her playing so nicely. She has even been reading bedtime stories to her baby which is so cute! By the time her siblings were her age they had experienced having a real baby around with their new brother/sister. Elsie is the only one that hasn't had that, which is probably why she loves the idea so much. With how much Elsie has been playing with the bed, and how rough she can be when playing, I can honestly say I haven't felt worried about it being broken at any point. The pillow and blanket are great and I can't really think of any negative points or ways I would possibly suggest to improve the item. It is great quality and seems built to last. 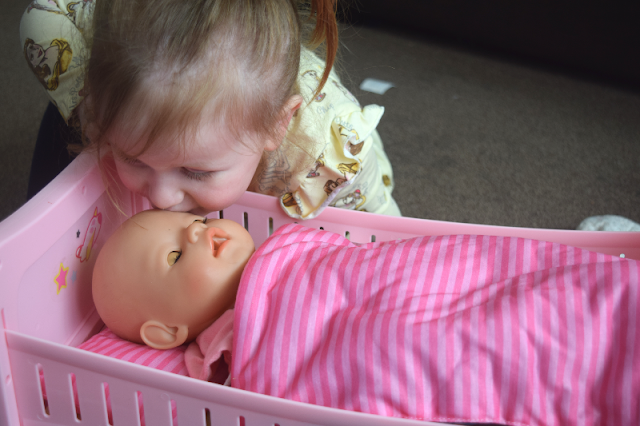 The sides can be taken off so it can be used as a bed for 'older dolls' like the Baby Born Interactive Sister.